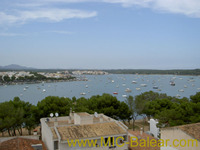 Up Floor Apartment in First Ocean Line situated, with great Ocean View, 2 bedrooms, 2 bathrooms, a useable area of approx. 100 m². This RoofTopApartment, First Ocean Line situated, with nice Harbor View, 3 bedrooms, 1 bathroom, a useable area of approx. 115 m².